– the arrival of a notable person or event. A year ago we were waiting for our sweet Courtney to make her way home to God. There were prayers and a multitude of candles lit for our girl. We had spent the last three months in home hospice care and she was beginning that final fade. Time was running out. We didn’t know what death looked like. To be honest I didn’t ever want to know what it looked like. No parent is supposed to outlive their child. I had spent twenty-two years fighting and beating back that dragon of death. Then came a day when you could no longer beat it back. Death was coming for my sweet beautiful daughter and there would be no stopping it. We spent our days snuggled in the tan chair in the living room, staring for hours at the glistening Christmas tree filled with a thousand lights so she could see them. I would talk to her, softly whispering words of love into her ear, praying that she would know how much we loved and cherished every moment we got to love her. Oh, the love we shared. The seizures would come without invite and roll over her like an ocean wave whose undertow meant business. She would fight to breathe. 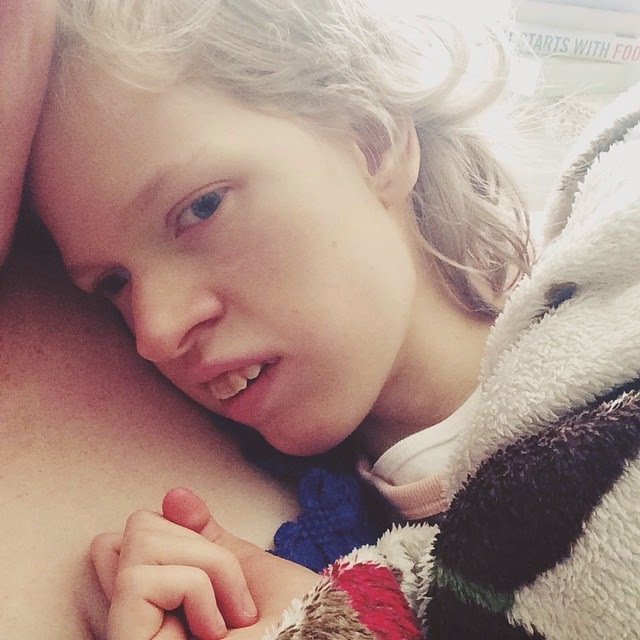 She would fight to still her limbs from the constant and exhausting pulsating the seizures brought with them. She would eventually fight her way back to calm, all while I begged God for a little more time to hold my baby girl. I would sing to her, mostly Marian hymns, which I had memorized in my youth. Those Bernadine nuns loved their Marian hymns. I was never more grateful for their persistence in making me memorize them than I was a year ago. I held my daughter for hours every single day. It was a precious and very special time in our home as we prepared to say goodbye. Courtney has been the center and heart of our home from the beginning and the thought of being without her was too overwhelming to even contemplate then. I would start to hyperventilate and my hands would shake. I felt like vomiting. I could not handle even the idea that my Courtney would no longer be here by my side. We were partners. A team. You need two to make a team. I look back on my last Advent with my Courtney and I know that the only thing that got me through was the mercy and grace of God and his Holy Mother. Today is a special feast day in the Catholic Church. It’s the Solemnity of the Immaculate Conception. It’s also the first day of the Extraordinary Jubilee Year of Mercy. It’s special to me because my Courtney received her First Communion during the last Jubilee Year, in 2000, in Lourdes, France where the Immaculate Conception first appeared to a lowly young girl St. Bernadette Soubirous. The image of my little girl sitting at the foot of that mountain grotto in Lourdes wearing her Communion veil and white dress, having just received Our Lord for the first time moved me to tears today. That happens sometimes no matter where I am or what I am doing. I have learned over the past year to sit with it and allow my heart to hurt and the tears to fall. There is no stopping grief, no matter how long it’s been since experiencing the loss. I spent some time in front of the tabernacle after lunch and I wept with joy and sorrow. It’s bittersweet to remember such a beautiful moment with so much joy and in the same breath feel such deep pain knowing my daughter is no longer here for me to hold. Grieving in Advent feels like laboring to give birth. There is pain mixed with great anticipation. Joy mixed with mixed with the sting of such intense loneliness. I am breathless at times for the loss of Courtney. I am so glad my daughter is at peace. I am breathless at times for the unimaginable glee that my sweet girl gets to experience everyday for the rest of eternity. People ask me everyday how I am doing? I am doing OK. One day at a time. All will be well. I smile. I hug. I laugh. It hurts. It’s hard to take a deep breath. It feels like I am reliving her final hours on this earth over and over again. I cry. I sit in silence. I want her back in my arms. I will never get over the death of my daughter. I never want to get over the death of my daughter. Advent…a waiting for, anticipation the coming of a great event. My life is now a permanent Advent. I wait to hold my daughter again. I wait for the privilege of seeing my Beloved Jesus face to face, to know and understand what my daughter already knows and understands. 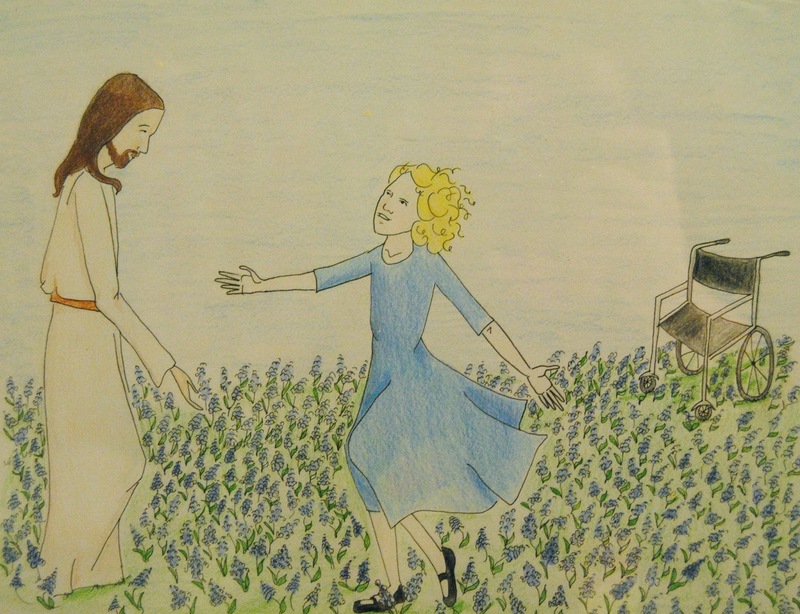 I wait to run with her hand in hand through those beautiful fields of bluebonnets I once dreamed of. Courtney's work here on earth is complete and now you are continuing yours. Prayers for you my friend.